YOU WON'T BELIEVE WHAT YOU'RE READING BUT EVERY WORD IS TRUE!! Do you believe in miracles? Do you believe in demonic possession? Do you believe in exorcism? A little girl with irreparable brain damage was pronounced dead by two hospital specialists. Today she is a healthy teenager. A teenage boy whose spine was crushed by a lorry was diagnosed as permanently paralysed. He now plays football with his friends. A curse that brought death over five generations has been lifted. People tormented by demons have been set free. How were such miracles wrought? What do they have in common? They have John Gillespie in common. Who is he? How has he been gifted with such extraordinary power? 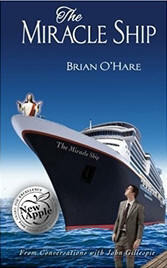 The Miracle Ship tells John’s story. But it does so much more than that. This is a book that should be read by all Christians. 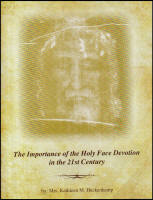 John’s message is profoundly insightful and, if it is uncompromising, it is laced with faith, forgiveness and truth. Many who have already read the book have described it as ‘life-changing.’ This true account of his life, of the miracles and deliverances that follow his prayers, will amaze you. 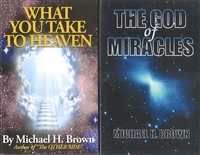 Millions of people love to hear and read about miracles. Sr. Briege McKenna’s book Miracles Do Happen has sold all over the world in its millions. 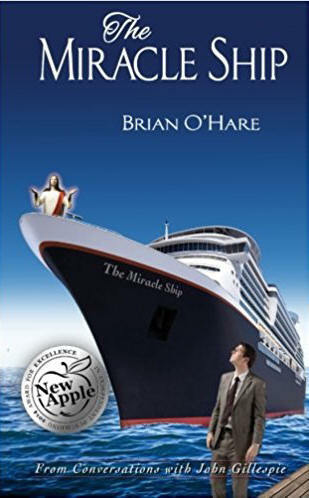 If you read and liked Miracles Do Happen, you’ll love The Miracle Ship .